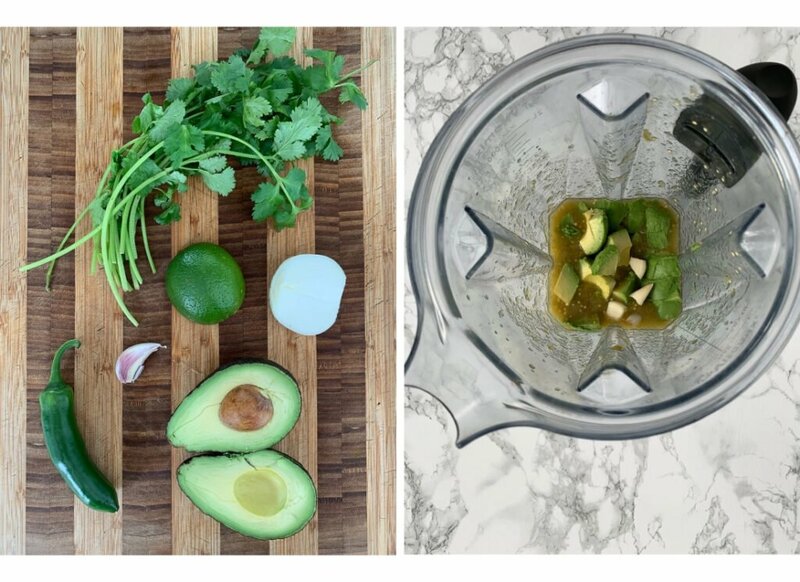 Made in your blender in under 10 minutes, this creamy avocado salsa verde will be your new favourite sauce or dip! Eat it with tortilla chips or use it anywhere else you’d put salsa. This fresh and flavourful salsa is a perfect topping for tacos, nachos, salads, eggs, and pretty much everything else! 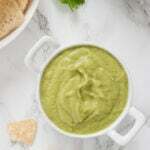 Have you tried avocado salsa verde?? If not, we need to change that, stat. This salsa is so fresh and flavourful! And just a handful of ingredients and a few minutes in a blender is all that is standing between you and your new favourite sauce for everything – if you are anything like me and my salsa addiction. This sauce couldn’t be any easier. 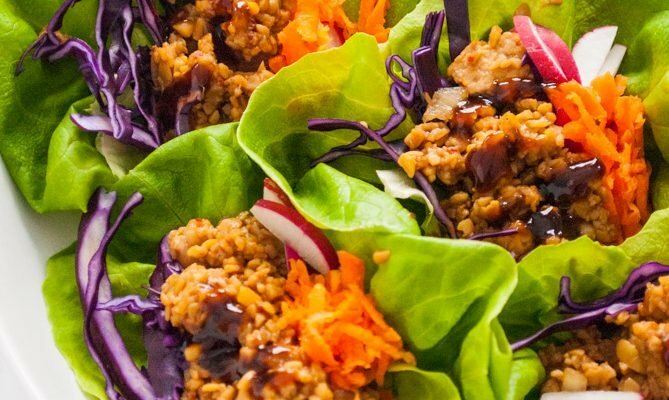 Just round up your ingredients, throw them in your blender for a few minutes and you are good to go! 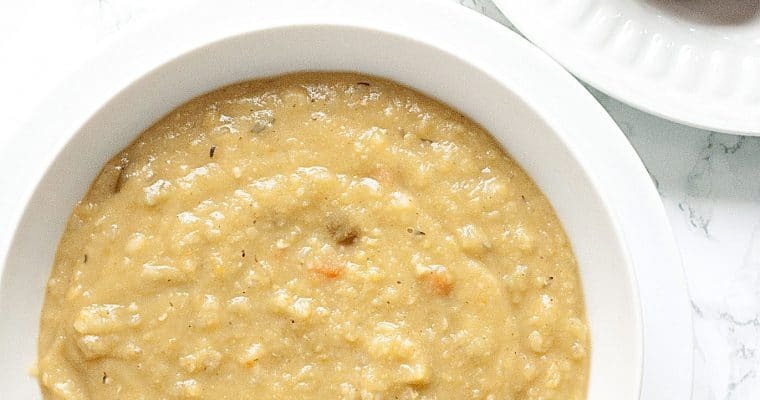 This sauce is also easily adjustable to taste – I only used half a jalapeno here, just enough to add some flavour, but if you want to spice it up a bit go ahead and put in a whole jalapeno. Maybe even 2. This sauce is good on ANYTHING that you would put salsa on! 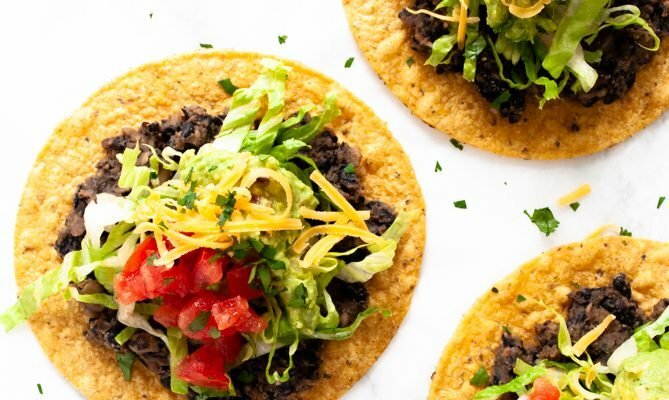 Try it on our portobello fajitas, black bean tostadas, or Instant Pot lentil tacos. 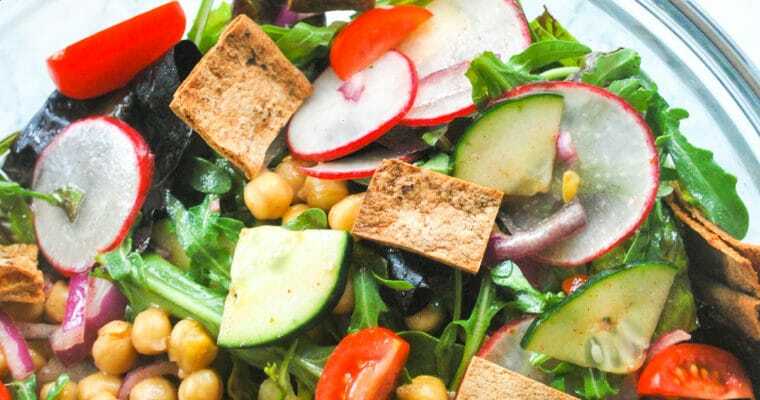 It would even be great for breakfast on scrambled tofu tacos or breakfast tostadas. If you are just looking for something delicious to snack on it’s a great accompaniment to tortilla chips too. This recipe makes about 3 cups of salsa. I like to store mine in mason jars in my fridge. It will stay good up to a week if it lasts that long! You can also freeze it in 1 cup portions for use later if you want. 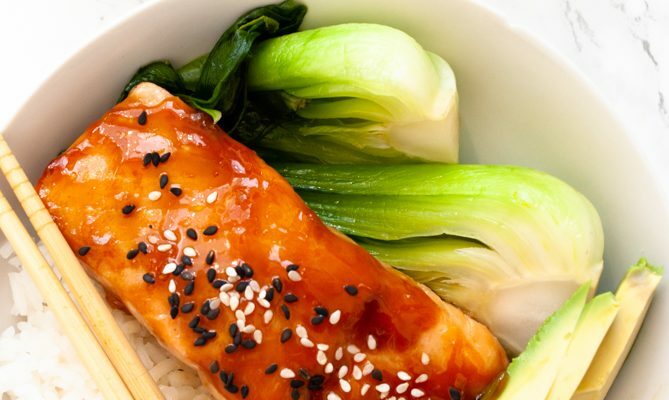 Lightly chop the onion, garlic, and jalapeno - they will blend into the sauce easier this way. Blend all the ingredients up in a high speed blender or food processor until smooth. I love Avocado and this recipe is so very special. Looks creamy and would love to enjoy it with all my Kitty friends. Need to make some for all to enjoy. 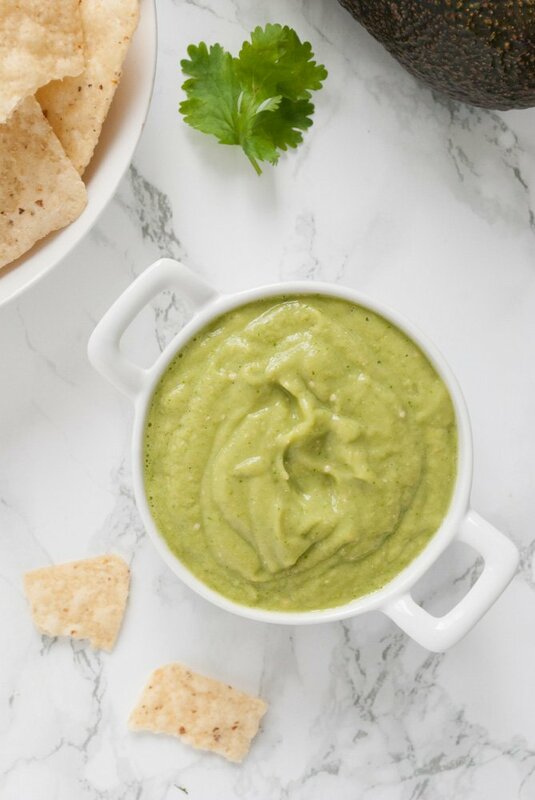 I love avocado and I love dips so this recipe is calling my name! Going to make it for next weekend when we are having guests! Love this as an easy dip for chips! 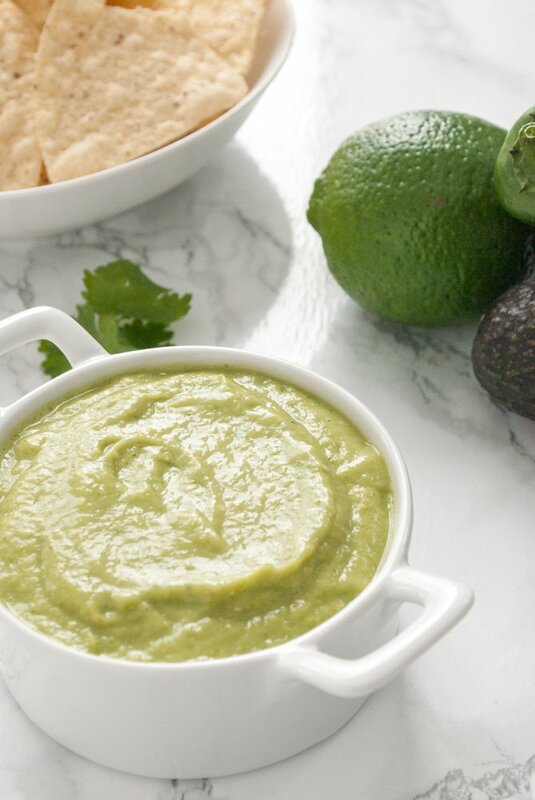 Love how the avocado adds creaminess to this salsa verde! Thank you! It really is a nice addition!